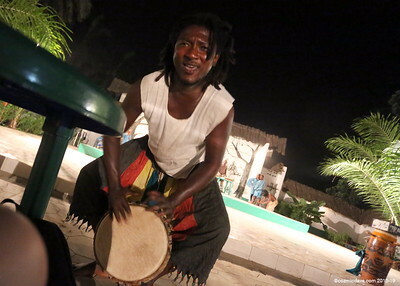 Drumming Holidays are now available in The Gambia. 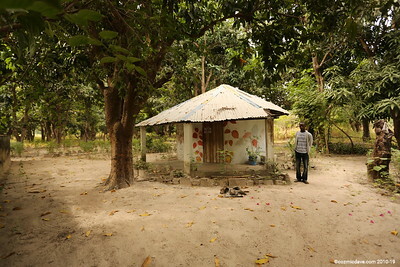 They are held at 2 venues - Bambo Forest, near Serekunda and the other at Bolongbaa, Gunjur Beach. 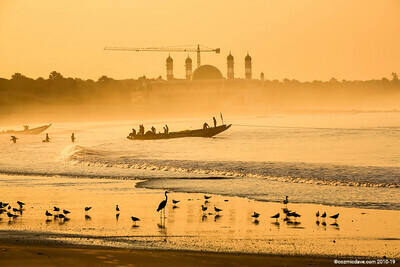 Cozmic Dave is a regular visitor to The Gambia and attends both workshops personally. 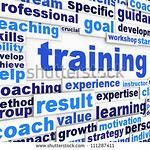 He has gained a wealth of experience from the tuition and is now running his own workshops in the United Kingdom. Dave highly recommends them to anyone wanting to improve their drumming skills, whether they are beginners, intermediate, or advanced players. 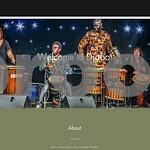 Moko is a master of Dunduns and Djembe, and has over 20 years of experience in African Drumming, Dancing and Singing. 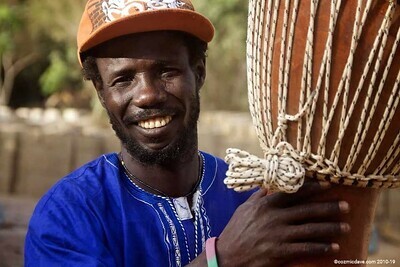 Although he originates from from Conkray, Papa New Guinea, he is currently residing in Bambo Forest nearby to Serekunda, a lively market area in The Gambia. Moko offers his teaching skills during daytime to all levels of drumming. At night you have an invite to watch him perform with Badeya, a 16 piece African Cultural Band who play at the top venues within The Gambia. This school is situated on the beach of Gunjur. 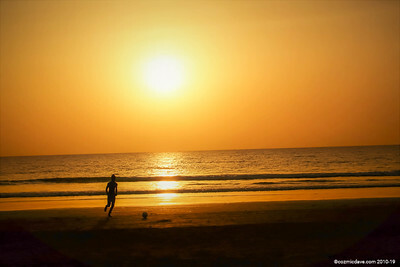 Beautiful sunrises and sunsets await you, together with two of the nicest guys you will ever meet. Bunja and Lamin have a wealth of experience in teaching Dunduns and Djembe. If you are a novice, then not to worry because they are totally dedicated and have much patience. Your confidence will grow day by day, whether it be a beginner of new rhythms, or improvement of mastering technique. Whichever drumming ability you are at, escalation of one's drumming ability can be guaranteed to reach a higher level. Bolongbaa has a camping area and a roundhouse available to rent on site (another currently under construction), together with a bar serving cold drinks. Food is also available and cooked fresh by Lamin himself. Other decent accommodation close to Gunjur Beach is here at Gunjur Lodge. The beach also has another bar providing a 'reggae disco' every Sunday. Accommodation is also available with Saikou, located at Old Gunjur which is approximately 10 minutes away from the beach. Transport is constant via 'gilly gilly' or taxi from 8am - 8.00pm. Fares cost no more than 20 Dalasi (approx 30p each way). For further information please contact Saikou via this link.... Hilton Hotel or click on the photo to see more. If you are wanting to book our drumming holidays in Gunjur and require 5 star luxury hotel accommodation, it is not possible. The nearest place we recommend would be at Sanyang Beach, where you will find the resort 'Rainbow Lodge' most satisfying. The hotel resort is situated on the beach, with friendly staff. Several bars serve fresh food until late at reasonable cost and the bar remains open until the the last person leaves. 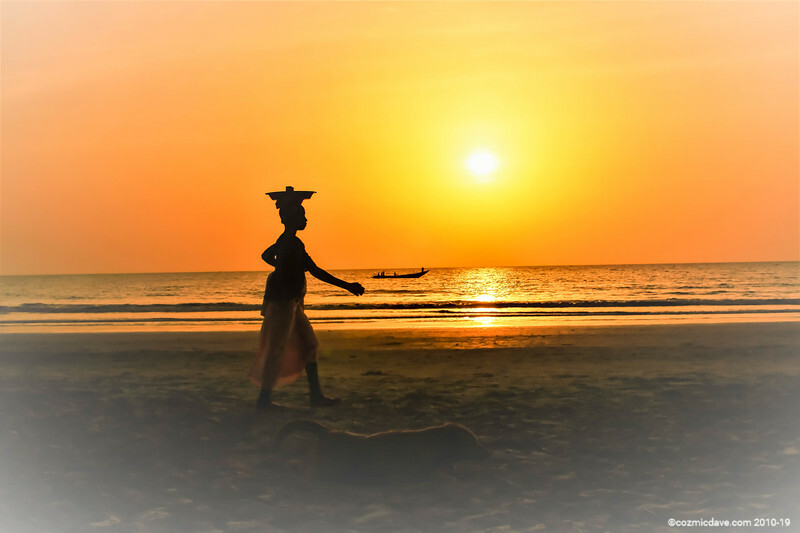 Here at Sanyang Beach you will find it most relaxing. It has the safest sea to swim in the warmest water in the whole of The Gambia. Transport to and from Gunjur Beach is easy. Taxi's are very reasonable at 300 - 400 GMD each way (approx 63GMD = £1, therefore 600GMD is approximately £10 for a return journey). A 'gilly gilly' (shared mini bus with the locals) will cost approx 30GMD (40 pence) each way but the service ends by 8.00pm. Car rental is also available from various hire companies. If you don't mind a 15 minute walk (each way) along the beach to Bolongbaa, here a wonderful relaxing place to stay (hidden away behind the mosque) is at Nemasu Eco-lodge. TIP! Gunjur Beach is also a photographer's paradise. A camera is a must - you will be most disappointed if you leave home without it. Cozmic Dave recommends to book your stay for 2 weeks or more. 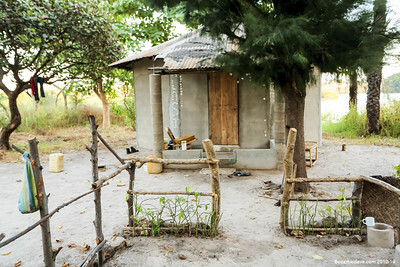 This way you can get the benefit of both Workshops, and get to fully experience The Gambia. British citizens require a visa after 30 days which from there on costs 1000 GMD (approx £20 per month). They can be easily obtained at the immigration office in Fajara. Moko at Bambo Forest usually teaches beginners all the parts for a rhythm called 'Tiriba' wheras at Bolongbaa, Bunja and Lamin concentrate on a number of different parts for various songs. Bunja is very keen to send you home with correct drumming technique thus taking your standard of drumming up to a higher level. Please note: We must advise you that flights to The Gambia are not included. Flights from the United Kingdom. The cheapest flights from the UK are with Thomas Cook. For a flight in November or December costs approximately £220 return including VAT. Direct flights from the Birmingham, Manchester, or Gatwick Airports are usually no more than 6 hours 20 minutes.